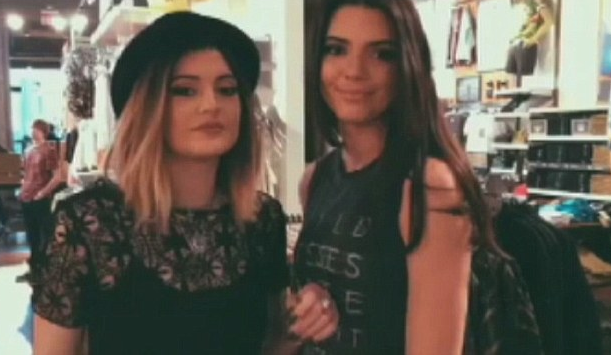 Has jealously gotten the best of the Jenner sisters? Kylie Jenner skips Kendall Jenner's birthday lunch. Kendall Jenner and Kylie Jenner may have once been inseparable, but now it seems that sibling rivalry has got the better of them with the pair said to be feuding over their fame. Apparently things have got so bad between them that Kylie didn't even show up at her sister's birthday lunch on Monday. The girls are said to be at war over which one of them can become the most famous Jenner girl, with 19-year-old Kendall's modelling career and dates with Harry Styles giving her a head start, before Kylie, 17, teamed up with new bestie Tyga and got everyone talking about her thanks to Instagram images of her full lips. Now a source close to the girls has told RadarOnline that they think it's really sad how the girls have let their hunger for fame get in the way of their relationship, unlike older sister's Kourtney, Kim and Khloe Kardashian. Well....Kendall won, just in case anyone is confused. She is the only Kardshian/Jenner to have a real career (which she is good at).